Ever wished you had access to a natural health doctor outside of a regular appointment? Someone of whom you could guiltlessly ask your health questions about anything from adapting recipes for special diets, to cold and flu remedies, to advice for insomnia or ADHD, without paying all the fees for a private appointment? Then Elizabeth’s new Concierge Health & Wellness Service is for you. 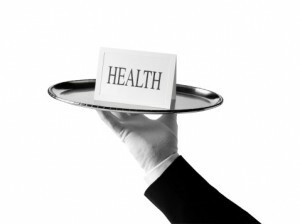 I am now offering a lower-cost alternative to booking an hour-long appointment with me in the form of my “Concierge Health & Wellness Service.” This service consists of a private Yahoo group in which I will answer any and all questions about natural health or healthy eating as well as welcome sharing from the community about what has worked for them. Become an Early Adopter and Get a Forever Discount! I am offering a special early-adopters discount to readers of my blog of 50% off the regular monthly price if you sign up between now and January 15th. Anyone who signs up at this price now will be able to stay at this bargain rate indefinitely though there is never any commitment and you can cancel at any time. Please check it out and sign up if you’re interested. Even if you just wanted to have one question answered, you would receive the benefit of my time and knowledge for less than $20 rather than purchasing an entire private hour from me for much more. There’s no risk; you can cancel at any time. But if you’ve ever found yourself wondering if there might be an easy remedy out there that could help you feel better, this opportunity can only be viewed as an incredible bargain. If you’ve worked with me in the past, here’s your opportunity to continue working with me for a fraction of the cost of another package of services. I want members to use me to achieve or maintain your health; look at me as your natural health resource for personalized health care advice in a group setting. And it goes without saying that questions about Glorious One-Pot Meals, food, or cooking in general will be welcome in the community as well! This type of online community offers the invaluable opportunity to learn from and be supported by others going through the same health challenges you are. There is power in being surrounded by like-minded people who are taking control of their own health. I hope to see you online in the group!